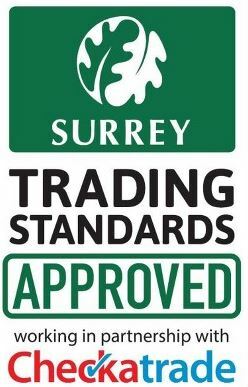 First For Locks is your local trustworthy locksmith in Horley. 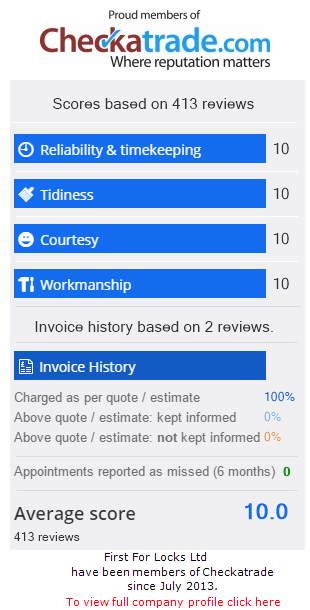 We are proud members of CheckaTrade, please click through to view our customer testimonials. We specialise in all types of locksmith work from Garage Door Locks to UPVC windows and doors. Whether you are a commercial or residential premises, we understand that your safety comes first, which is why we are on call 24 hours a day. What’s more, we do not charge for the call out – only the work undertaken. If you are locked out of your house or work premises, have had a break-in or have any other security problem, no matter what time of day or night you can call us on 07984 995863 and we promise a member of our team will be with you as soon as possible. As well as specialising in all locksmith in Horley services, we also offer free advice on how to secure your property to prevent burglaries and stop intruders breaking into your home. Does your Horley shop need extra security to deter vandals or burglars? Would you like to be able to guard your premises 24 hours a day? As well as being able to replace any lost keys or fix broken lock situations – we can help with the overall security of your premises. Discounts are available for Horley OAP’s and students.